Freestanding refrigerator with freezer in the style of the 50s. 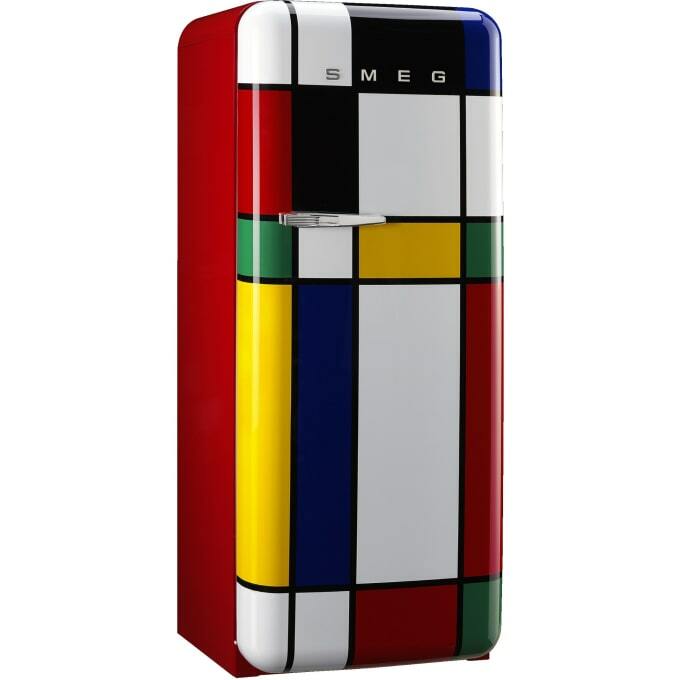 Colourful free standing refrigerator in the style of the 50s. When the appliance door is open, the new interior immediately catches the eye. It now also presents itself in 50's style, with round forms and harmonious proportions. The great love of detail of our designers can be seen here, among other things, in the elegantly curved chrome strips. The FAB28 refrigerator is thus consistently in the style of the 50s, inside and out. The use of high-quality materials also makes the appliances extremely durable. In terms of energy efficiency, the FAB28 now ranks among the best energy efficiency class A+++. Do you have a question about "FAB28 Multicolour"? How can we contact you?